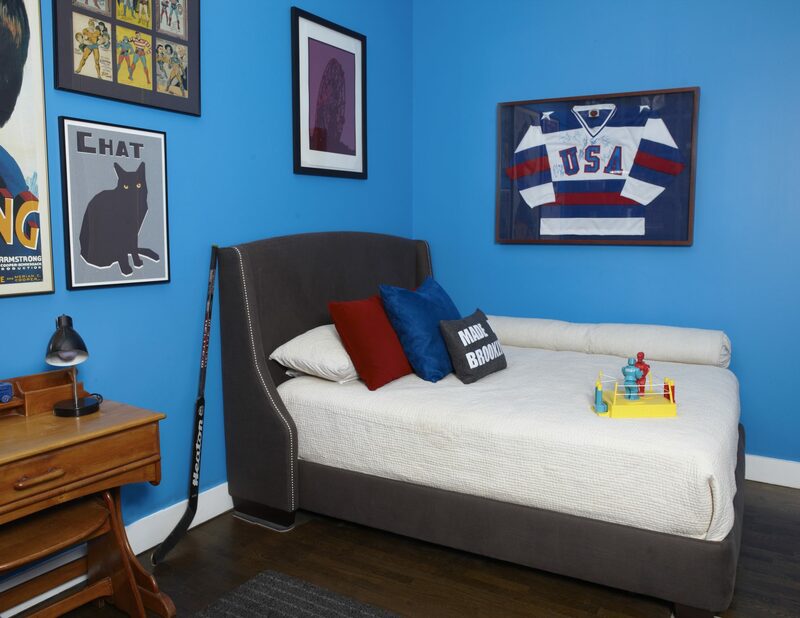 Our goal for this room was to create a bright and cheerful room for a teenager that he could use for years. 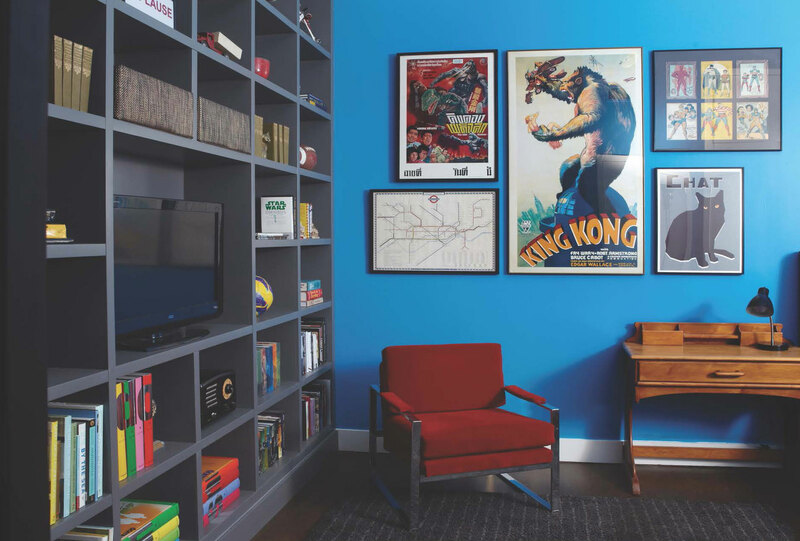 Building a custom shelving unit along one wall allowed ample storage for this book loving teen. 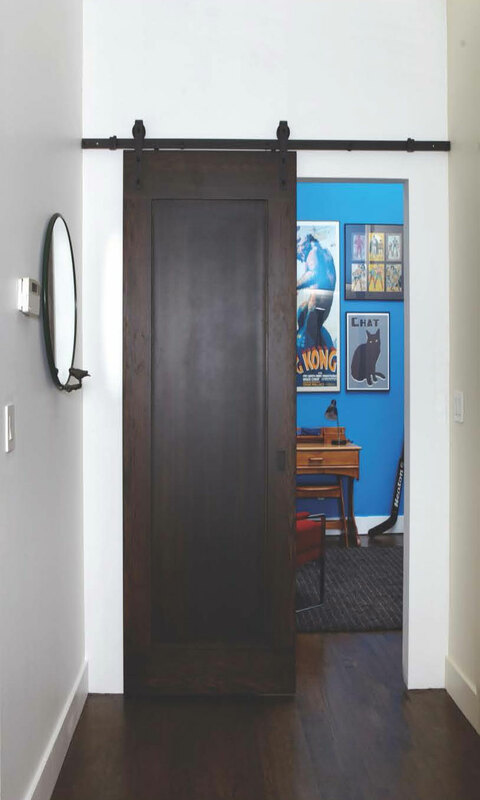 A custom sliding barn door creates privacy and painting the walls in a vibrant blue allows the graphic art to pop.